According to the moon calendar, tomorrow is the first day of the Lunar New Year, too often incorrectly called Chinese New Year. 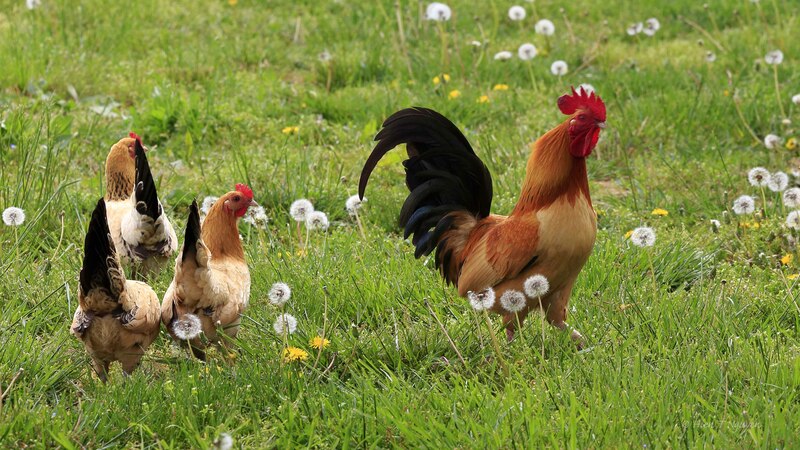 Chinese astrology assigns the Rooster as the Zodiac animal of this new year. The following photo is from last Spring, showing a rooster proudly leading a pack of three hens in an open field in South Jersey. Happy New Lunar Year to all my friends here at WordPress. May it bring you many blessings and all that you wish for. Gung hay fat choi to you too! Happy year of the rooster. Great rooster photos too! Happy Lunar New Year. May this year of the Rooster will bring Health, Happiness and Good Luck to you and your family. Thank you very much, and Happy Tet to you and your family! Not being a fisherman, I had to look up ginger hackle! Another sport which I may never have a chance to try. Thanks for commenting, Jerry! Thank you, and the same to you from the US! But, it IS Chinese New Year… 😉 Happy New Year! 🙂 Happy Year of the Rooster to you Helen! Happy Lunar New Year. That is one lucky rooster too. Some fine looking hens he has there. A handsome fowl! Happy Year of the Rooster to you, Hein! Thank you Eliza, and the same to you! Happy Lunar New Year to you! Thank you Katelon! Hope yours will be a good and rewarding one.